As market observers predicted, the Federal Reserve announced today that it was raising the federal benchmark interest rate a quarter-point. 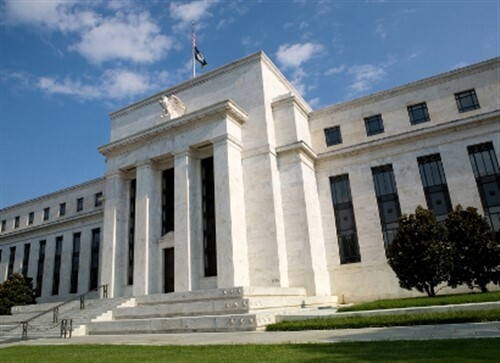 “In view of realized and expected labor market conditions and inflation, the Committee decided to raise the target range for the federal funds rate to 2 to 2 ¼ percent,” the Federal Open Market Committee said in a statement. The FOMC cited “sustained expansion of economic activity, strong labor market conditions, and inflation neat the Committee’s symmetric 2 percent objective” as reasons for the hike. The rate increase is the third hike this year; the Fed also raised rates in March and June. Most observers expect a fourth hike before the end of 2018. The rate hike came as no surprise to economists and other market experts. A CNBC survey found that 98% of respondents expected the Fed to hike rates this month, while 96% predict another quarter-point hike in December.